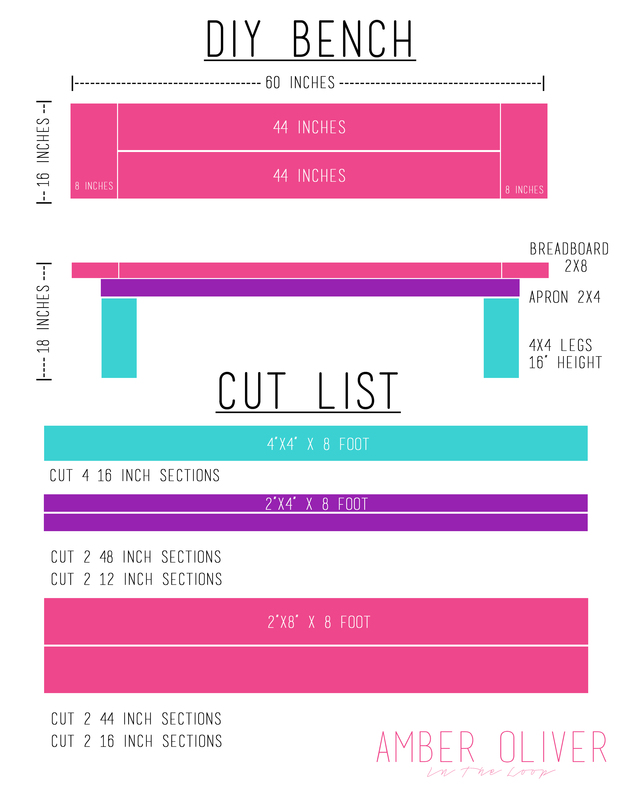 DIY Bench – Extra seating for your home or porch! 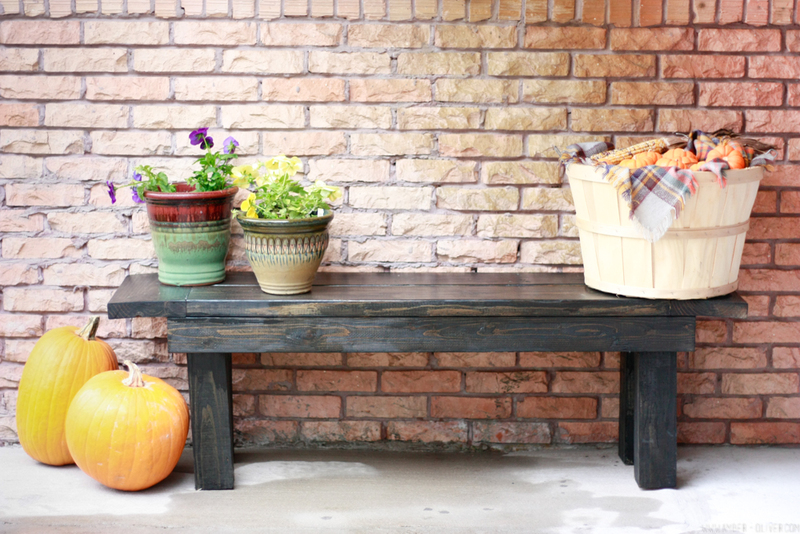 When we built our DIY farmhouse table the original plan was to add benches for seating. But when I found these awesome bamboo chairs at IKEA, I grabbed 6 of them for our patio. I went back a few months later to get 2 more and they had DOUBLED in price (womp womp). 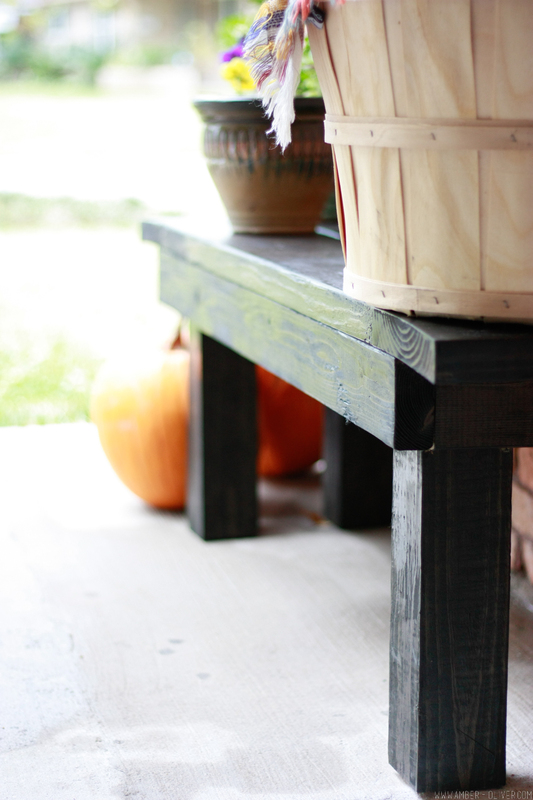 We have an ever expanding need for seating in our home, so we decided to build a versatile DIY bench. It’s new home is on our front porch, but we’ve used it in our dining room and on our back patio. I modeled the design after our farmhouse table, with a minor change to the legs to make the build a bit simpler. This post contains affiliate links. If you shop from my blog, I may be compensated for clicks or purchases that you make. Thank you for your support! Please refer to my disclaimer page for more information. 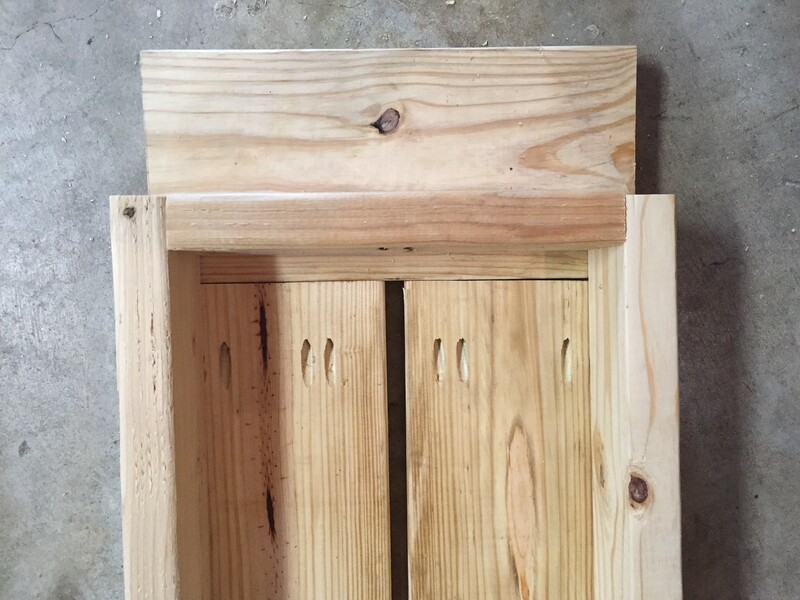 For the top of the bench, add the pocket holes on the underside of each end of the 44 inch sections. You will attach into the 16″ x 8″ breadboards. On the apron, add pocket holes on the 12 inch sections, in the middle and on either end. You will use the pocket holes on the end to attach into the 48 inch sections to make a rectangle. 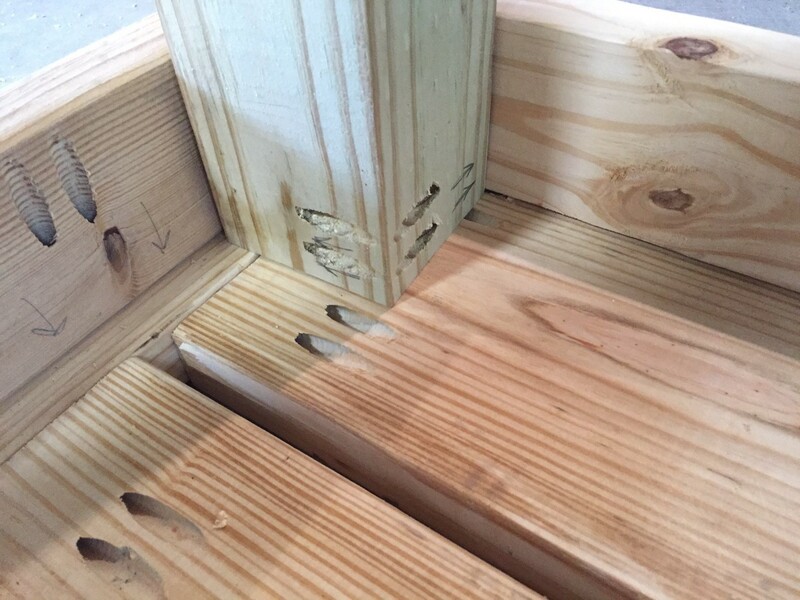 You will then use the pocket holes in the middle of the 12 inch sections to attach into the top of the bench. Step 3: After the bench is assembled, use the electric sander to give it a good sanding. Step 4: Apply stain and let dry! If you’re putting it outside, I like to add a coat of Helmsman Spar Urethane (I think it’s easier to work with than spar varnish). 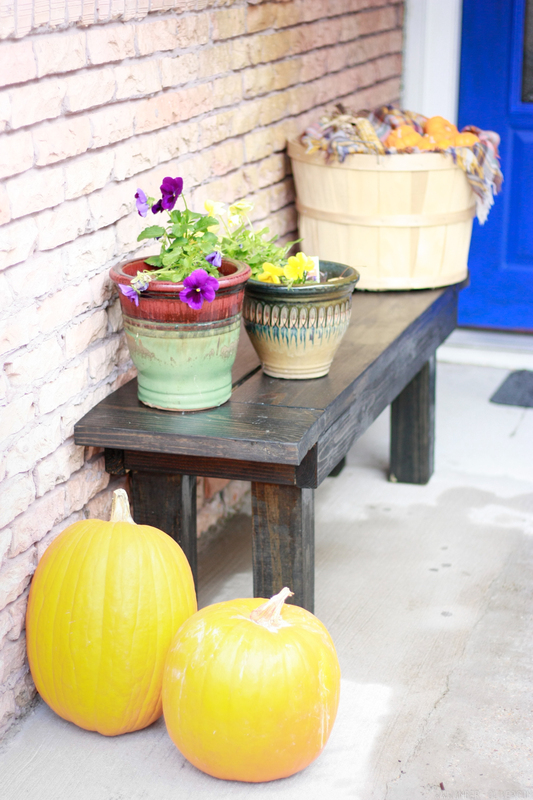 I love how versatile our DIY bench is. 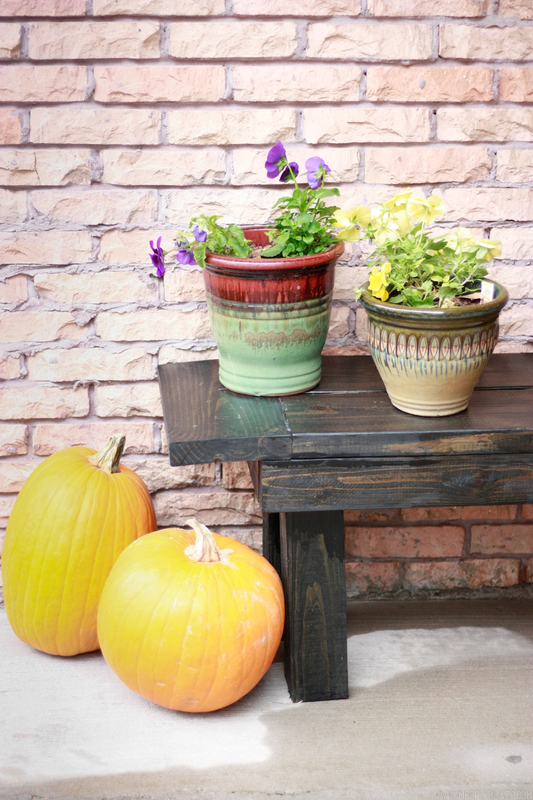 I used it this fall with pumpkins on our front porch. We brought it inside and used it as extra seating at our dining room table for Friendsgiving. At my birthday, we even drug it around to our back porch. Our handy little bench has made itself at home here at #OliverHQ.